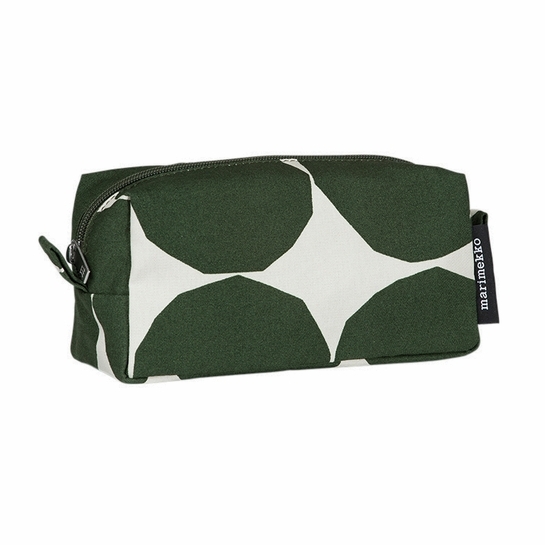 More about Marimekko Kivet Ivory / Green Tiise Cosmetic Bag Simple and striking, Kivet (Stones) has been a Marimekko fan-favorite for more than half a decade. 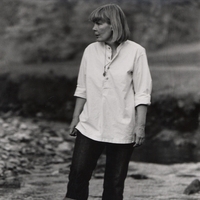 Many suspect it was inspired by the rocks that surrounded Maija Isola's studio home, and was originally created by by cutting out rounds of paper with scissors to achieve imperfect edges. 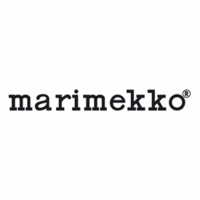 Why not use the Marimekko Tiise as a stocking stuffer, stuffed with things she always stocks up on? 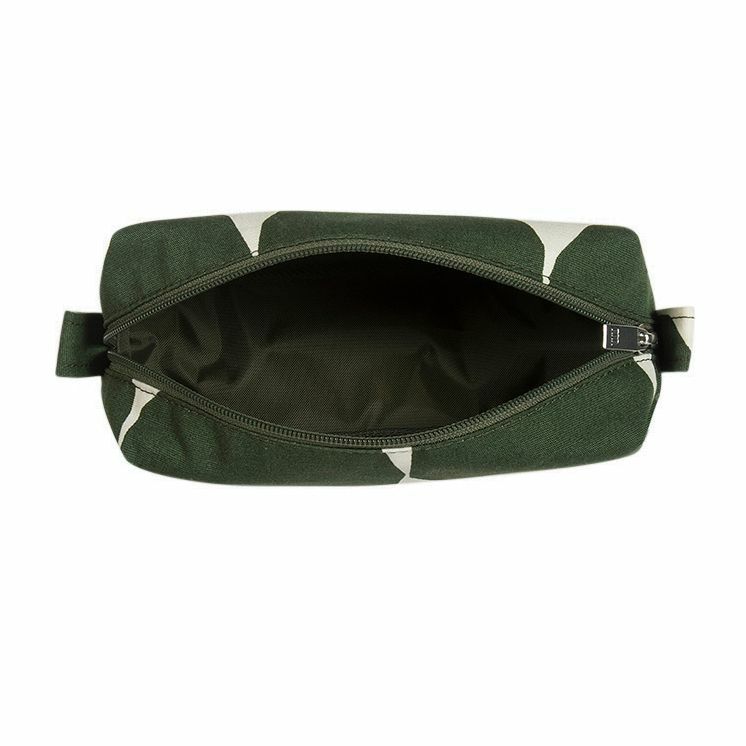 This cosmetic bag is perfect for holding makeup and other toiletries as it has an easily wiped clean pvc-coated interior, but it can also house other items like pencils or art supplies. Whatever treasures it stores, they will be safe zipped away in the surprisingly roomy interior.